You have a well crafted shiny new resume, polished shoes and a sparkling deposition and outlook on life. You’re up to date on your job search skills and are also aware of what’s relevant in your chosen occupation. As a result, you’ve successfully secured that dream Job Interview, that necessary step towards getting hired for that perfect job. But what can you do so that you’ll make enough of an impact to stand out from the crowd, like a shining star, ahead of the other candidates. What will make the interviewer remember you. What you want to do is be as radiant as possible by creating a glowing aura. You need to portray what your best and unique individual selling proposition is, this along with showcasing your excellent people skills which makes you outstanding. Tell the employer how they can immediately benefit from your contribution once they pick you out and hire you. You can isolate yourself by pinpointing your strong points by communicating how your particular skill set and specific credentials can benefit the company’s bottom line. Showing them how and what you have to offer can translate into a positive return on their investment. Explain to them that hiring you can solve the puzzle by you assimilating into their company to remedy their situation. You’ll then make it easier for them during the hiring process to project where they see you fitting into the position and their company. You’ll give them a reason for not wanting to interview anyone else. Hiring good employees can be the company’s best investment while hiring a poor employee can be an expensive time consuming headache. So the responsibility of any hiring manager is to actively seek and then make the best possible decision. After all, it’s their job on the line as well. So the people skills which you display during the job interview process can carry extreme value and weight. You should be doing so by providing detailed examples of your previous work related accomplishments and then projecting how those skills can be translated forward. Make sure that you match your particular personality and aptitude and then tailor it to the job description as well as their corporate “Mission Statement.” You’ll then firmly illustrate how you’ll be able to contribute to their company growth. You can highlight your uniqueness on your resume and then firmly reinforce it throughout the interview process. Valuable jobs have been and will always continue to be modified as well as at times, job descriptions will be altered to accommodate you and your particular skill set. 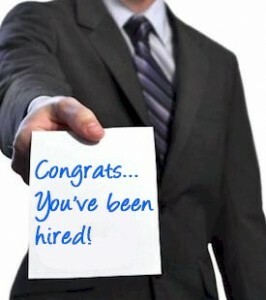 Completely new jobs has also been created or rewritten based on the talent which can emerge from job interviews. So to take advantage of this, it’s recommended you position yourself to display the bigger picture. When creating your own uniqueness, make a list of your best qualities that you have to offer, then list their benefits. Combine all of the qualities into compelling points which you can then articulate as concisely as possible during the job interview. Make sure that you carefully research the company as well as analyzing the job description which you’re applying for. Use social media, reviews and blogs to determine what may be the most important “features” the potential employer is looking for. If the job description for instance requires “strong analytical and math skills,” and you happen to excel and enjoy complex research, then you should be highlighting that particular ability as part of your skill set, citing key projects. Also know how the company presents itself towards the general public and their customers. For instance, if the company and their advertising tags or slogan prides themselves in offering service excellence, then you can align your customer service proposition with that particular mission. Once you polish up and focus on your unique personal selling skills, you should then have the upper hand. There’s proof of countless accounts of candidates who, through a well crafted and articulated selling proposition, has landed their dream job. In some cases, they’ve even been able to shift the way that the job description of the particular position was structured, this to tailor for everyone’s benefit. And this all based on the individuals uniqueness what they had to offer, and how it could be applied to the company’s overall outlook and their bottom line. So it’s important to take the time to establish your particular selling proposition before you even pursue and secure your next job interview. You can then track the shift in your confidence, personality and see the results. This could potentially be the missing link in landing that job which you really want.